It finally happened over the weekend -- Saturday to be exact. 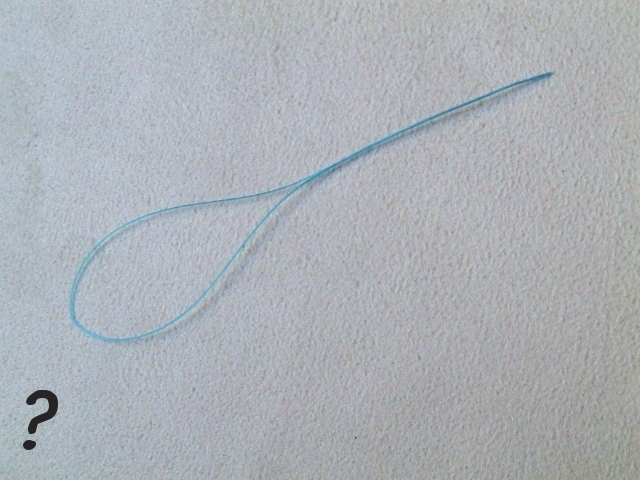 I pulled the thread from my already threaded serger and re-threaded it for the first time. After all the struggles that I've heard from other "serg-eons", I have to admit that it wasn't the big deal I was expecting. By now you'll have surmised that I don't have one of those self-threading wonder sergers. The serger I do have came with a manual and a dvd. Honestly, if I'd had to thread my serger the first time solely from the included manual, it probably would have taken much longer. (I find matching line drawings to the real thing a bit daunting when I'm still a bit unfamiliar with the real thing.) But using the extremely clear instructional dvd made it easy. Next time I'll be able to use the color coded guide printed on the machine. I'd read that using one of these would help things along. It didn't. Perhaps it helps with other machines. 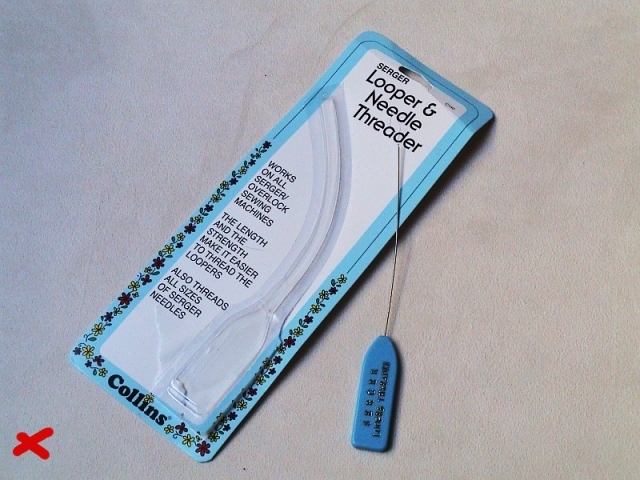 I found it not worth the effort to work the threader tool through the guides and eyes in reverse direction to the way I wanted my thread to go. I didn't even need one of these, as suggested in books and blogs. I never even tried it, but I can see how it could be helpful, working it in the same direction as the thread. 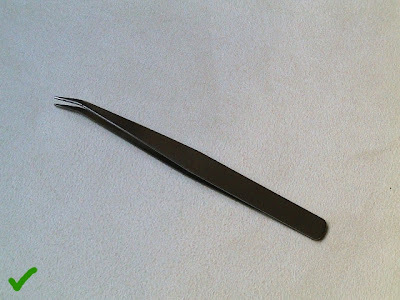 Instead I only used the included tweezers. A good light was extremely helpful.